Firehouse EMS Academy offers a variety of Emergency Medical courses ranging from EMT, AEMT, American Heart Association CPR courses, to our Babysitter 101. To see when classes will be held next or to learn more about our courses you can find individual courses by clicking on the specific course tab or the Course Options tab. 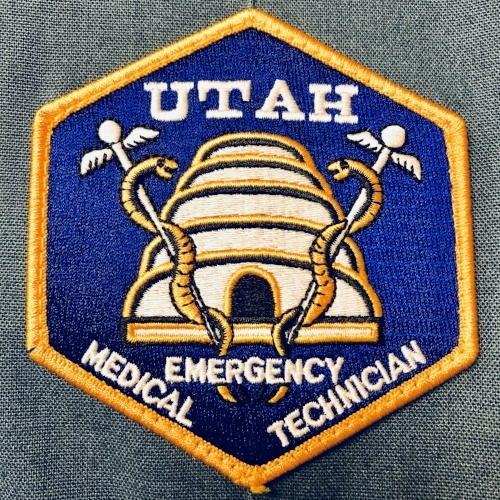 Both our Emergency Medical Technician (EMT) and our Advanced Emergency Medical Technician (AEMT) courses are taught to the national standard which means that you will not only be able to test for Utah state certification upon successful completion of the course but you will also be able to test for national certification through the National Registry of Emergency Medical Technicians (NREMT). We offer both Heartsaver and BLS CPR certification courses. Our classes revolve around the demands of our students but are open to the public as well. To see when we will be hosting our next CPR course check out the Course Calendar tab. We also offer a variety of other course options. 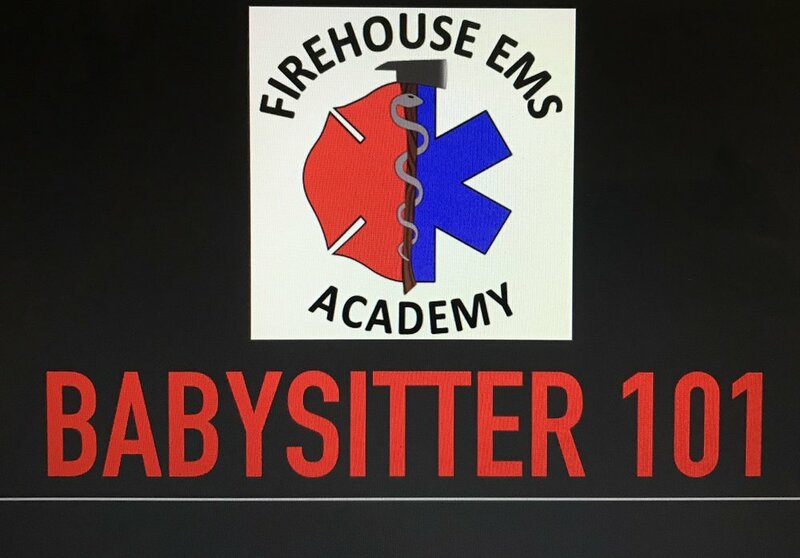 Our most recent addition is our Babysitter 101 course. This is free to anyone of babysitting age. The class is approximately 2 1/2 hours long and covers basic First Aid, CPR, as well as many other Do's and Don't to follow while tending children. Firehouse EMS Academy EMT Classes are Tuesday, Thursday, and Friday nights from 5:30pm-10:00pm. In the 150 hour EMT course you will learn skills like how to properly conduct a Patient Assessment on both medical and trauma patients, CPR, how to properly assist a patients respirations with a Bag Valve Mask device, how to properly administer certain medications like an EPi-pen, Asprin, Nitro, oxygen, etc. You’ll learn proper placement of EKG patches, as well as treatment techniques for spinal immobilization, bleeding control, joint and long bone immobilization, environmental emergencies, chest pain, and stroke to name a few. Firehouse EMS Academy offers interest free, in-house payment programs ask about them at registration. All Students MUST have their text book and all required materials with them on the first day of class. Any student who does not have their text book or any of the required materials on the first day WILL BE REQUIRED to purchase it from Firehouse EMS Academy that night. we are currently accepting ENROLLMENT for OUR NEXT EMT CLASS STARTing April 23rd. Classes fill quickly, Click the “enroll now” tab for more info or to get registered TODAY. The Firehouse EMS Academy Advanced Emergency Medical Technician (AEMT) course is a 150 hour course. Our April 2019 course will be a hybrid course. 50% of the course will be online learning and 50% will be in class, hands on learning and lecture. In the Advanced EMT class you will learn skills that build upon the knowledge gained in our EMT course, and add to the list of skills and treatments you can already preform. The skills include: Placement of a Supraglottic airway device as well as an et tube, Pediatric airway compromise treatment, IV therapy, Intraosseous infusions, and Cardiac Arrest Management including ekg interpritation, and many more. Firehouse EMS Academy offers INTEREST free, in house payment programs ask about them at registration. Firehouse EMS Academy Tuition= $775.00 + we offer our interest free in house payment plans! we are currently accepting ENROLLMENT for OUR NEXT aEMT CLASS STARTing april 1, 2019. Our Babysitter 101 course is a free 2 1/2 hour class that teaches the fundamentals of babysitting first aid. This is not a certification course. This course is aimed at teaching all children of babysitting age things like when to call 911 or when they should call the parents. Heimlich and Hands only CPR. How to treat minor burns and cuts. How to recognize a seizure, what to do in a power outage, etc. Thank you very much for enrolling your Babysitter in the course. Please note that we only allow 20 children to attend per course. Enrollments are first come first serve. To enroll in any of our courses is easy! We offer 3 simple options. FIRST: Just fill out the form below and a member of our staff will contact you within 24 hours to schedule a personal enrollment appointment. SECOND: You can contact Kyle directly at (801)-706-5652 or Kyle@FirehouseEMSAcademy.com to schedule a personal enrollment appointment. THIRD: You can simply click on the "COURSE OPTIONS" tab, pay the $175.00 deposit online and fill out the form. This option secures your spot in the class immediately, and you can fill out the enrollment paperwork at your convenience. Thank you! A member of our staff will contact you within 24 hours to confirm your enrollment and discuss any information you need to proceed with the course.